One of the most popular home interior designs worldwide is the contemporary design. But, very often there is a misconception about what it actually represents as people usually confuse it with modern design. Even though some elements of the modern design have been transferred into the contemporary one, the two styles are very different. Modern design refers to an era that has passed, a specific period of time from the 1950s to the 1960s. Arguably, the period from the 1920s to 1970s is also considered modern. After that, we have the period of contemporary design, which refers to a refreshing and current style. Simply put, it is the design “of today”. In five or ten years from now, the phrase contemporary design will refer to something else, so it is safe to say that this is a style that is ever-changing. If we are to make the difference even clearer, modern design features clean, unadorned lines and natural materials like wood, leather and teak, whereas the contemporary design often incorporates different styles together and welcomes the implementation of state-of-the-art materials, glass and different types of metal. There can also be combos with pieces from the modern era but in a completely new format which makes the style current. There are several other important characteristics of contemporary design that set it apart from the modern style. One very significant characteristic and a foundational element of the contemporary design is the focus on form. 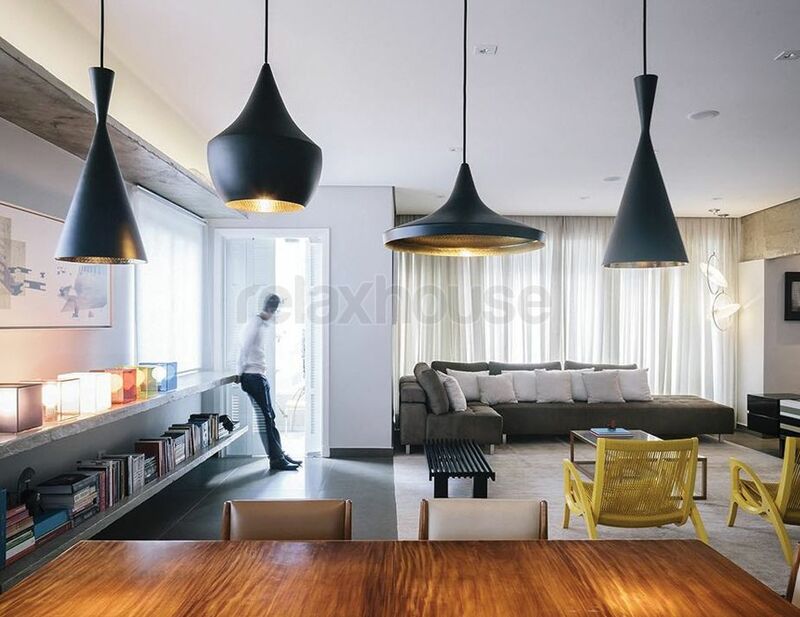 While people usually prefer function over form, the contemporary design combines the two, making it a very popular choice as a home design solution. By form I actually mean the shape of the furniture and it is defined with a mixture of both clean and elegantly curved lines. Simplicity and sleekness and very little intricate details or carving are the aspects you should pay attention to when you want to buy contemporary furniture. Another thing to do when you buy contemporary furniture is to stick to neutral colours. They are fundamental in order to achieve a simple and clean look, so black, white, beige and grey should prevail. Sometimes, you can even decide to include a little bit of colour but only to accentuate a certain small area. Also, several pieces with eye-catching texture is always a good idea as it will help make the space visually interesting. Last but not least is the lighting. The final touch to creating a contemporary design is giving natural light a pivotal role and therefore, if the option for structural glass walls is available, go for it. When such an option is not possible, simply look into all possible other ways to provide more light in the room. One way to do this is by featuring a skylight on the ceiling or having translucent panels borrowing light from the room next door. Another way is to include mirrors in the right locations where the reflection of natural light will enhance the view and open up the space. Finally, painting the walls in bright colours like white, light grey or cream can provide a better reflection of natural light than dark painted walls.